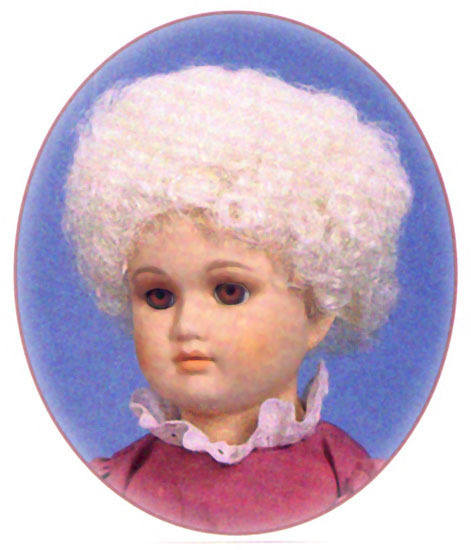 Doll Wigs by Pippin's Hollow provide the look of real hair in easy to care for modacrylic filaments. 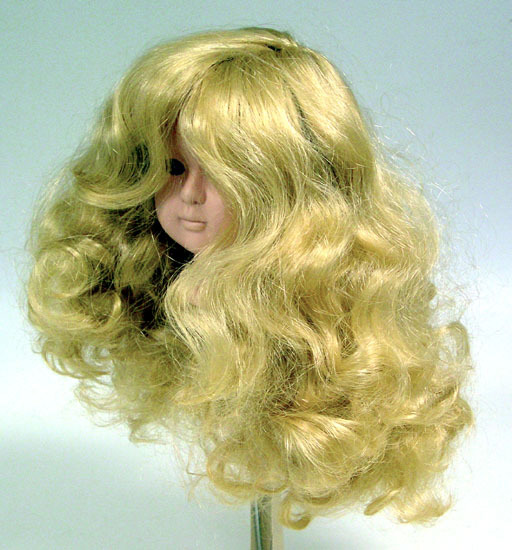 Doll Wigs can be styled, re-styled and cut for a special and individual look. SAVE UP TO 60% Off Original List!!! (A) Doll Wig, Pippin's Hollow, Duchess, [ 10-11 ] Dk Brown SAVE!!! 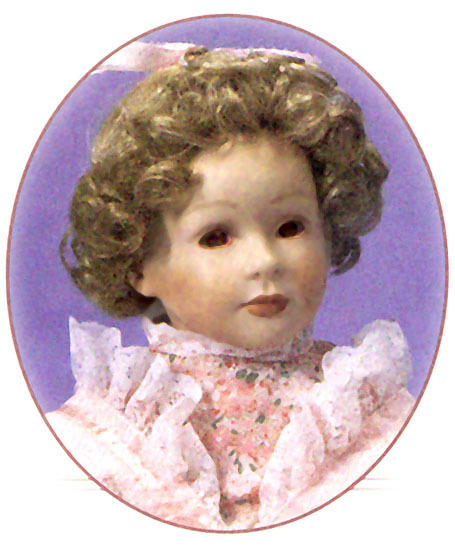 (A) Doll Wig, Pippin's Hollow, Duchess, [ 8-9 ] Dk Brown SAVE!!! 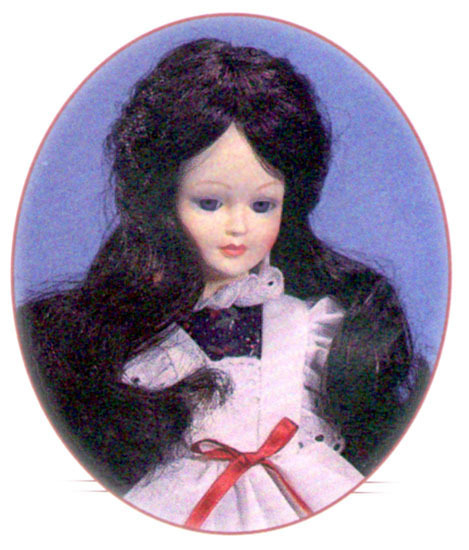 (A) Doll Wig, Pippin's Hollow, Duchess, [ 7-8 ] Dk Brown SAVE!!! (A) Doll Wig, Pippin's Hollow, Duchess, [ 8-9 ] Dk Blond SAVE!!! (B) Doll Wig, Pippin's Hollow, Marie, [ 8-9 ] Dk Brown SAVE!!! (C) Doll Wig, Pippin's Hollow, Annie, [ 9 ] Dk Brown SAVE!!! (C) Doll Wig, Pippin's Hollow, Annie, [ 10 ] Dk Brown SAVE!!! (C) Doll Wig, Pippin's Hollow, Annie, [ 11 ] Dk Brown SAVE!!! (D) Doll Wig, Pippin's Hollow, Christian/Clown, [ 7-8 ] White SAVE!!! (D) Doll Wig, Pippin's Hollow, Christian/Clown, [8-9 ] White SAVE!!! (E) Doll Wig, Pippin's Hollow, Heather, [ 10-11 ] Dk Brown SAVE!!! 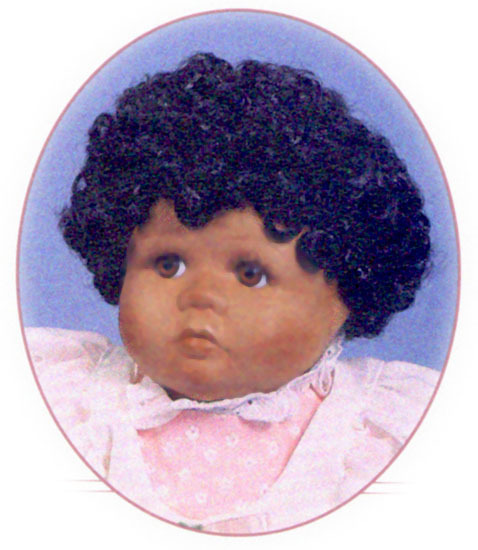 (E) Doll Wig, Pippin's Hollow, Heather, [ 12-13 ] Dk Brown SAVE!!! (F) Doll Wig, Pippin's Hollow, Allison, [ 7-8 ] Blond SAVE!!! (F) Doll Wig, Pippin's Hollow, Allison, [ 7-8 ] Dk Brown SAVE!!! 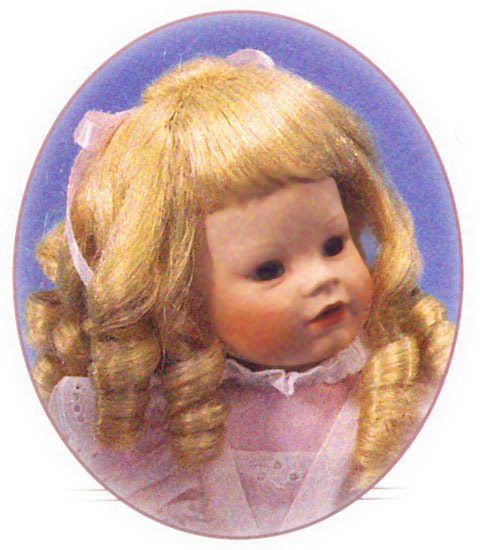 (F) Doll Wig, Pippin's Hollow, Allison, [ 8-9 ] Blond SAVE!!! (F) Doll Wig, Pippin's Hollow, Allison, [ 8-9 ] Dk Brown SAVE!!! 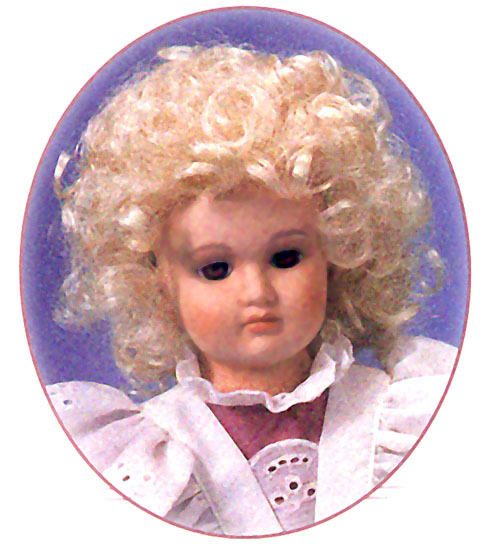 (G) Doll Wig, Pippin's Hollow, Long & Curly [ 12-13 ] Blond SAVE!! !